Oh, Captain! My Captain! Yesterday brought the very sad news that Ken Berry, our beloved Captain Wilton Parmenter, has passed away at age 85. Mr. Berry was one of the biggest stars on television from the mid-1960's to the early 1970's, with the misfortune of having two hits cancelled despite high ratings within four years. MAYBERRY R.F.D. is often cited as the most egregious example of CBS' 1971 "rural purge", as the show wrapped up its third season in 15th place in the Nielsens and got a pink slip anyway. 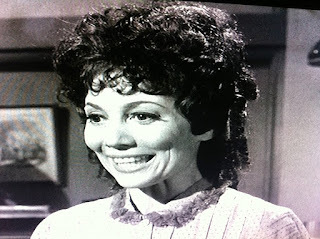 Berry did an admirable job in the most difficult of situations, essentially replacing Andy Griffith on THE ANDY GRIFFITH SHOW. TV history tells us that such continuations are virtually impossible to pull off: AfterMASH and SANFORD ARMS are among the many failures, and even ARCHIE BUNKER'S PLACE never cracked the top ten despite having the parent show's lead. MAYBERRY R.F.D. ranked 4th in each of its first two seasons, a ranking that actually bettered half of the seasons from Griffith's run. 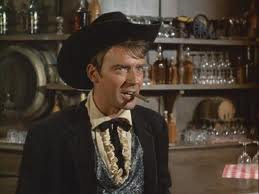 Of course, Ken Berry is loved by all of us here at The Horn Section for his brilliant performance as Captain Parmenter on F TROOP, and MAYBERRY's demise had to feel like deja vu all over again, as F TROOP was ABC's second highest rated sitcom behind BEWITCHED in each of its two seasons but was ended anyway. Not by ABC, but by Warner Brothers! In five seasons from 1965 to 1971, Ken Berry's series never averaged below a 31 share--but he received two cancellations anyway. Tough crowd. The network and studio executives, that is. Certainly not the public. Ken Berry landed his own variety show shortly afterward, and the 1972 KEN BERRY 'WOW' SHOW featured future stars Steve Martin, Cheryl Ladd and Teri Garr. Along with leads in the Disney features HERBIE RIDES AGAIN and THE CAT FROM OUTER SPACE, Berry was also memorably pitching Kinney shoes throughout the 1970's and early 1980's, before settling in for another long run on MAMA'S FAMILY. Old Ironpants: This first season entry isn't officially a dual role, but it might as well be. Parmenter goes off for two weeks' training with General George Custer (wishing him good luck on his new assignment at Little Big Horn) and takes to the course all too well. Captain Parmenter, One Man Army: With O'Rourke, Agarn and the rest of the troop illegally re-enlisted, Parmenter finds himself alone at the Fort on the eve of an attack by the Shugs. 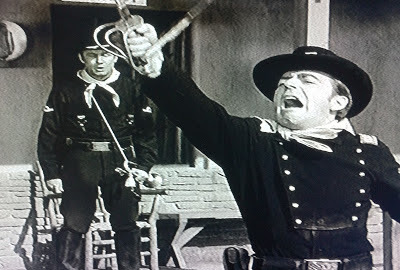 Wilton the Kid: Ken Berry gets his turn at a dual role in earnest, as Captain Parmenter and the bank robbing Kid Vicious. Bye, Bye, Balloon: Watch the ballet-like almost pratfall that opens this memorable color episode, and how well Berry works with guest star Harvey Korman in the saber duel. No segment better displays Berry's gift for physical comedy IMO. Really, though, just about any of the 65 episodes will feature some first class comedy from Ken Berry and his castmates. His passing leaves Larry Storch and my fellow Texan James Hampton as the only surviving regulars. Berry's ex-wife Jackie Joseph is also still with us: she guest starred in Our Hero, What's His Name? Rest in peace, Captain. More of Ken Berry's interview at Emmy TV Legends follows. The entire interview can be found here. I only just found out about Ken Berry myself, Hal, and I've an obit of my own at the Land of Whatever. I knew my mind didn't betray me when I remembered the Kinney Shoes ads. So sad to hear this news. 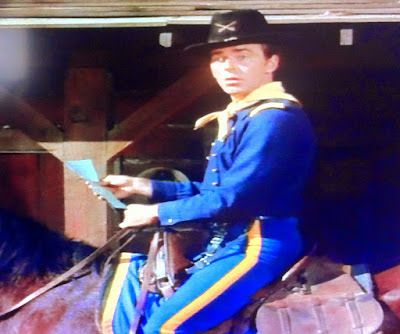 Always a fan of Ken Berry ever since F-Troop and liked him on Carol Burnett and Mayberry RFD. I always think of him as Captain Parmenter which I have in my DVD series collection. I've heard it said of some performers that they were "... too talented to be stars …"
He spent his whole career helping everybody around him raise their own game, making the whole show better in the process. Soon we'll be reading tributes from his friends and fellow performers, saluting the man they all loved to work with. We just never seem to know, do we … until the very end?